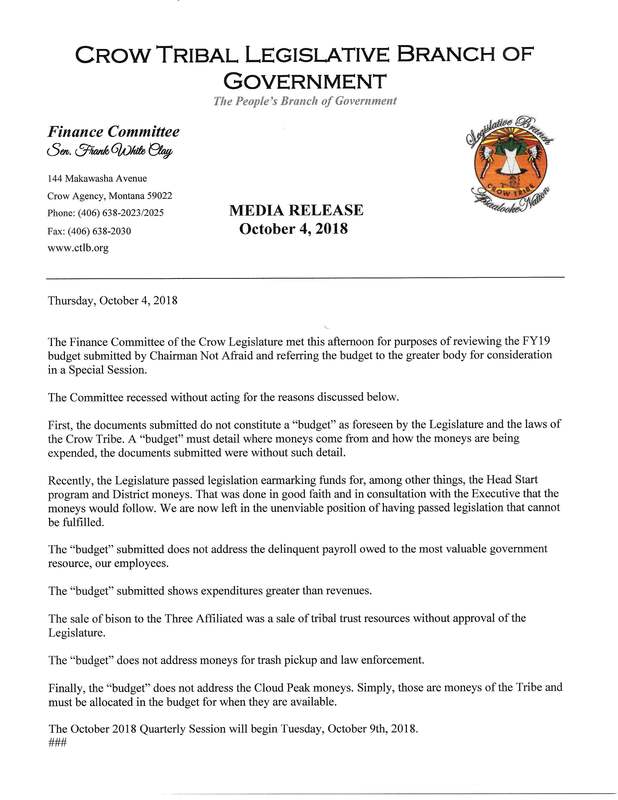 Description of expected compensation and available time commitment, along with an indication of whether there is any preference by the applicant to work on a contract basis or as a member of staff. 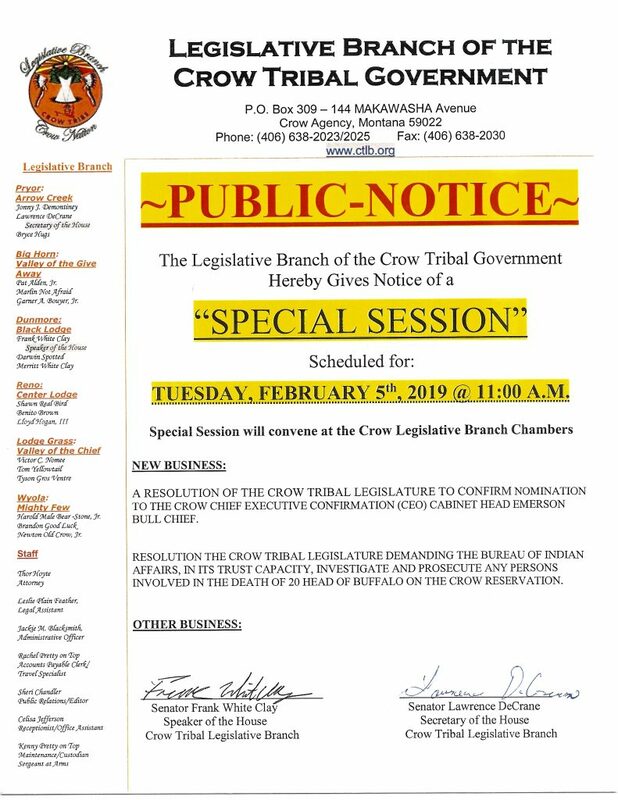 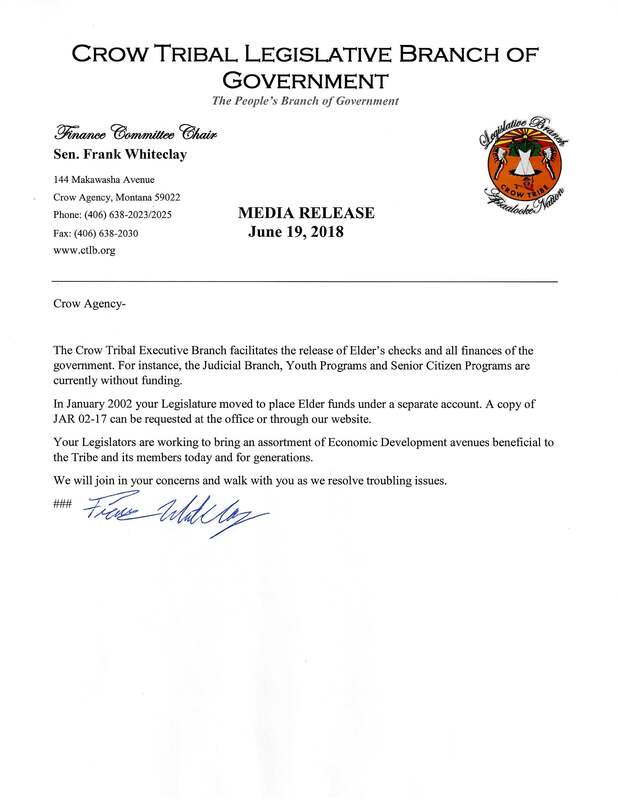 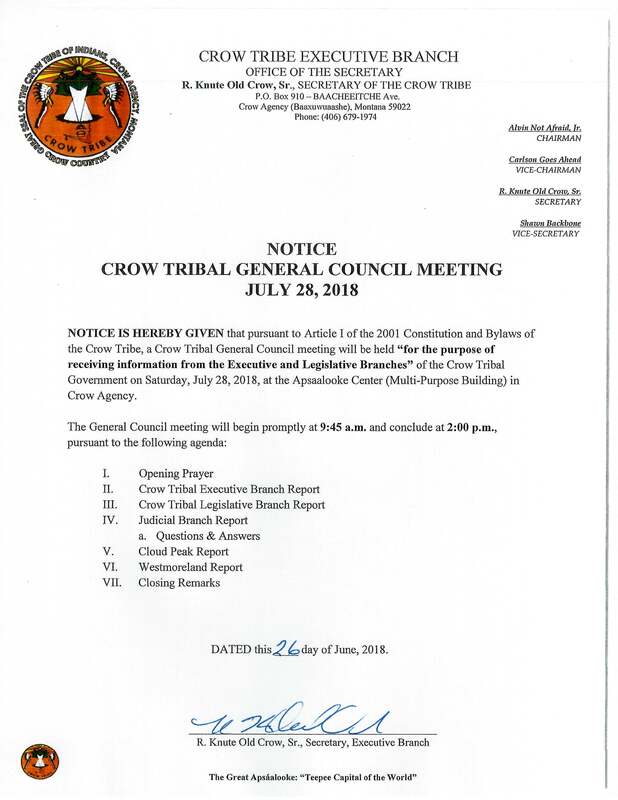 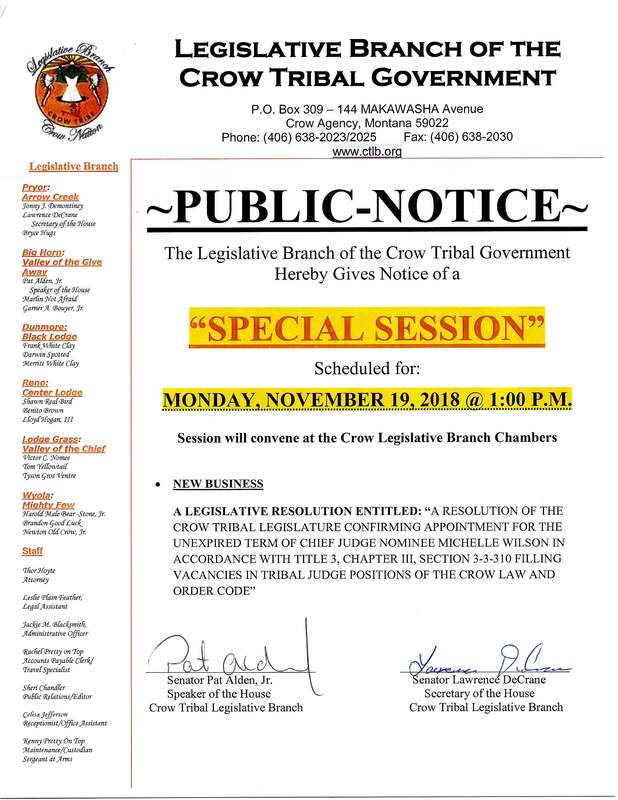 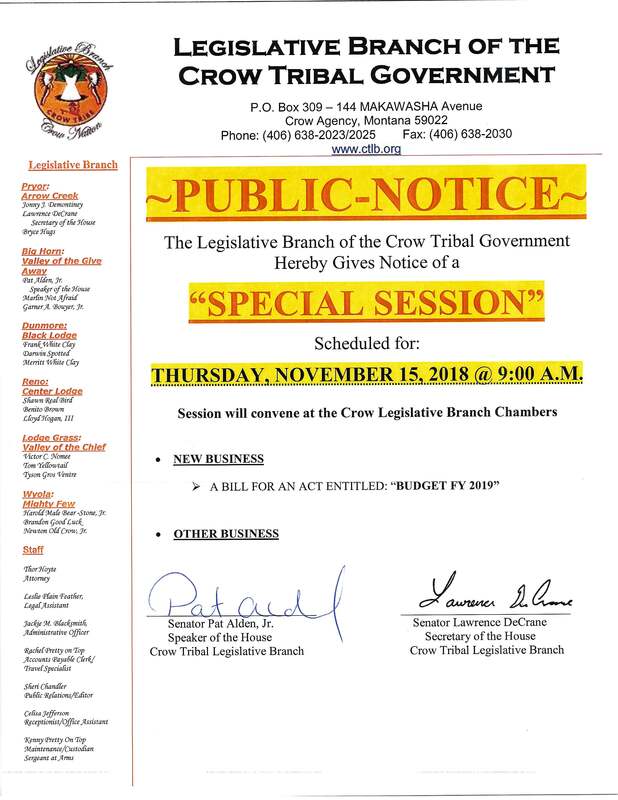 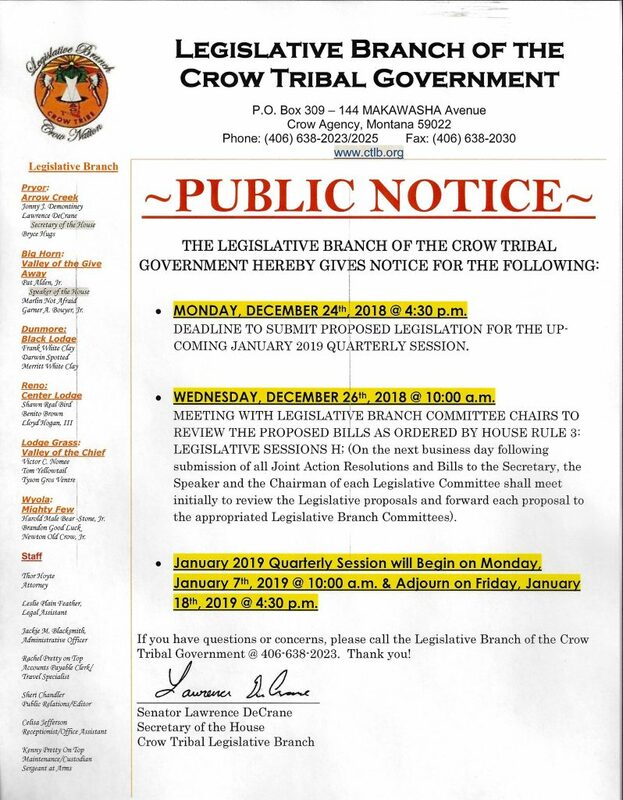 This position will require education and experience necessary to successfully provide legal services to the Crow Tribal Legislature which includes legal research and writing, drafting and review of proposed tribal legislation, legal assistance during legislative meetings, and legal training for the Branch. 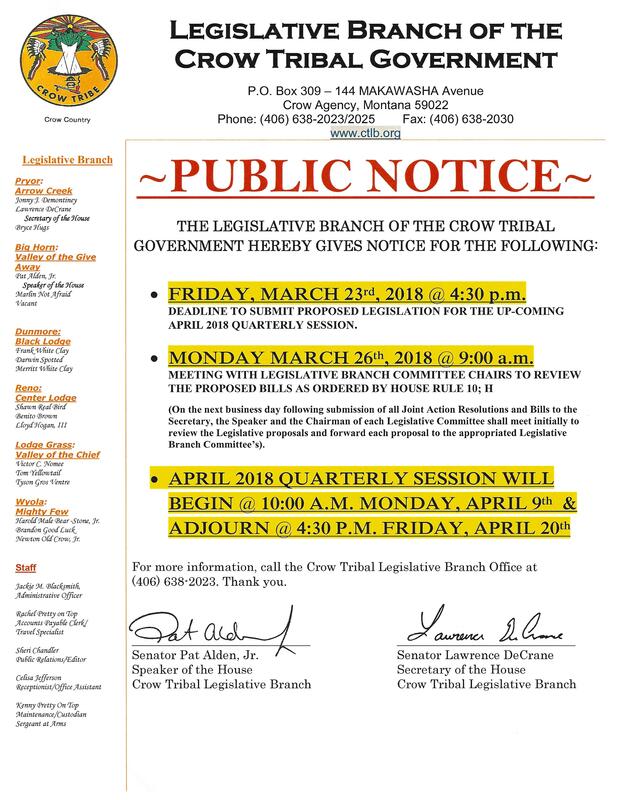 This position requires a strong understanding of federal Indian law, Crow Tribal law, and parliamentary procedure. 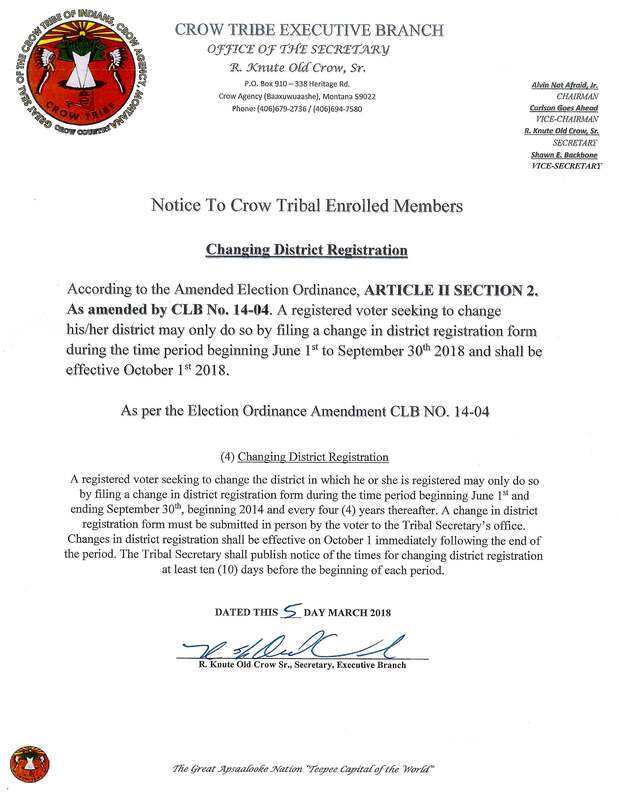 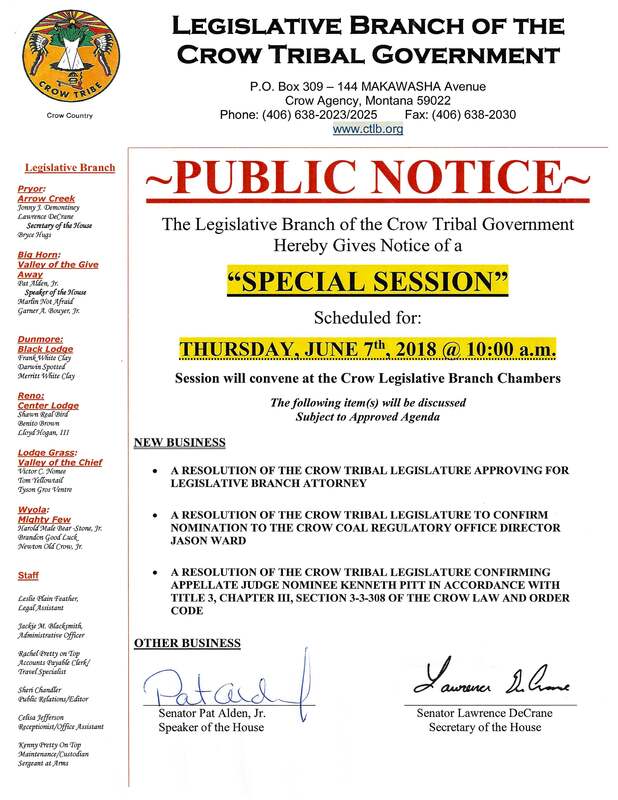 Candidates must be admitted to practice law and in good standing in Montana and be willing to seek admission to the Crow Tribal Bar. 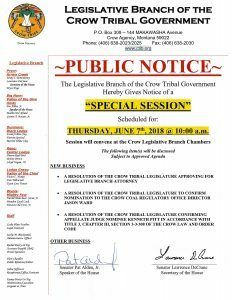 Indian and Crow Tribal preference shall apply. 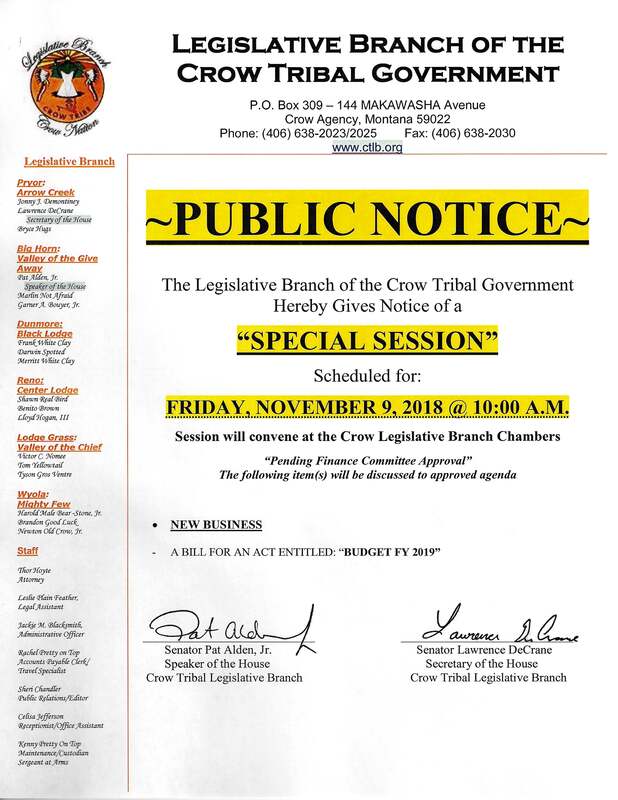 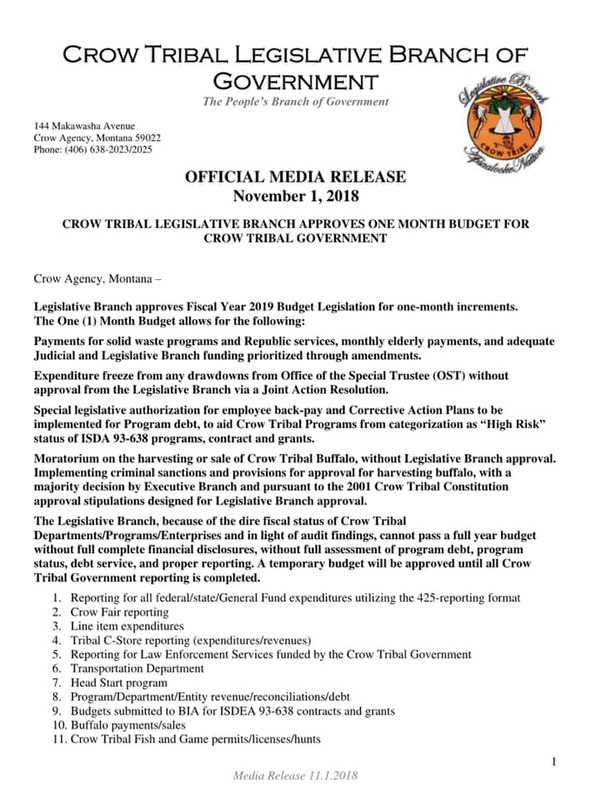 On Thursday, October 12, 2017 CLB 17-04 “Approval of the Annual Budget for the Operation of the Crow Tribal Government and the Expenditure of Tribal Revenue for Fiscal Year 2018” passed during the October Regular Session with a unanimous vote of 16 in favor of passage. 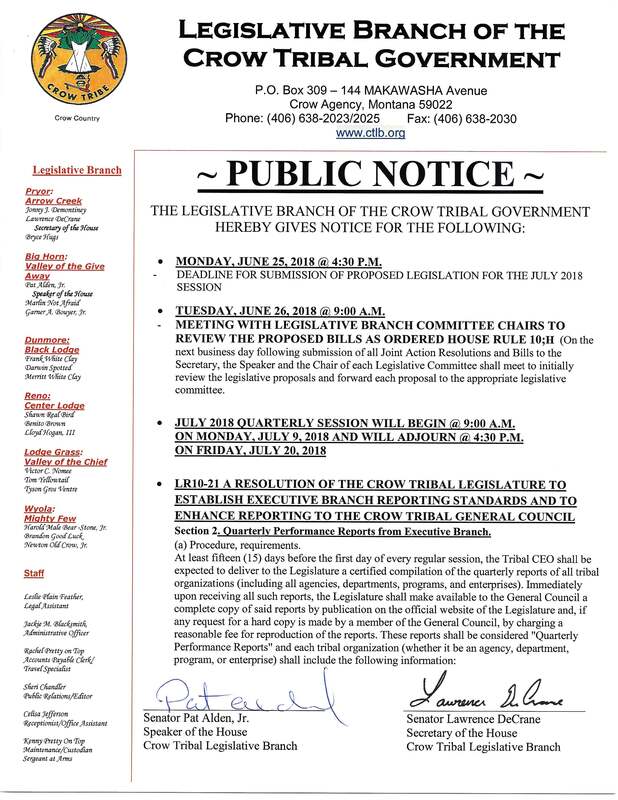 Pursuant to the new Housing Ordinance, the housing regulations require that they be available to the public for the next thirty (30) days for public comment. 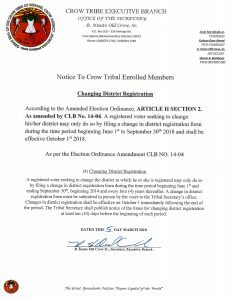 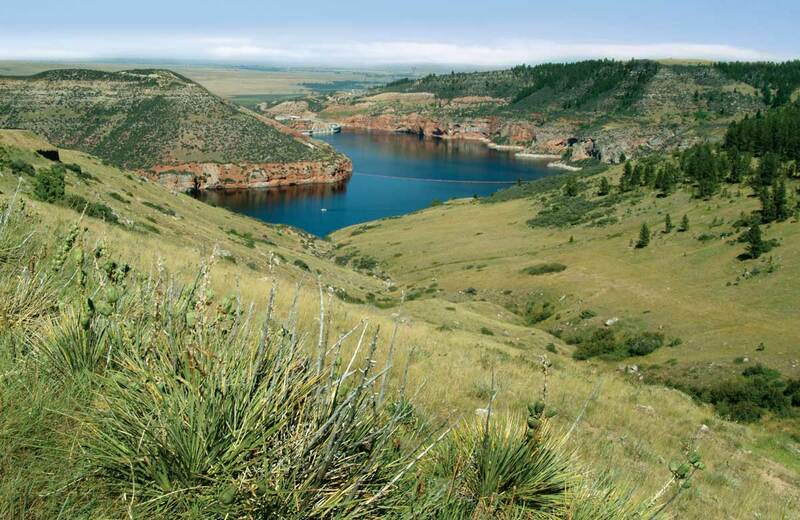 The deadline for public comment is November 4, 2017. 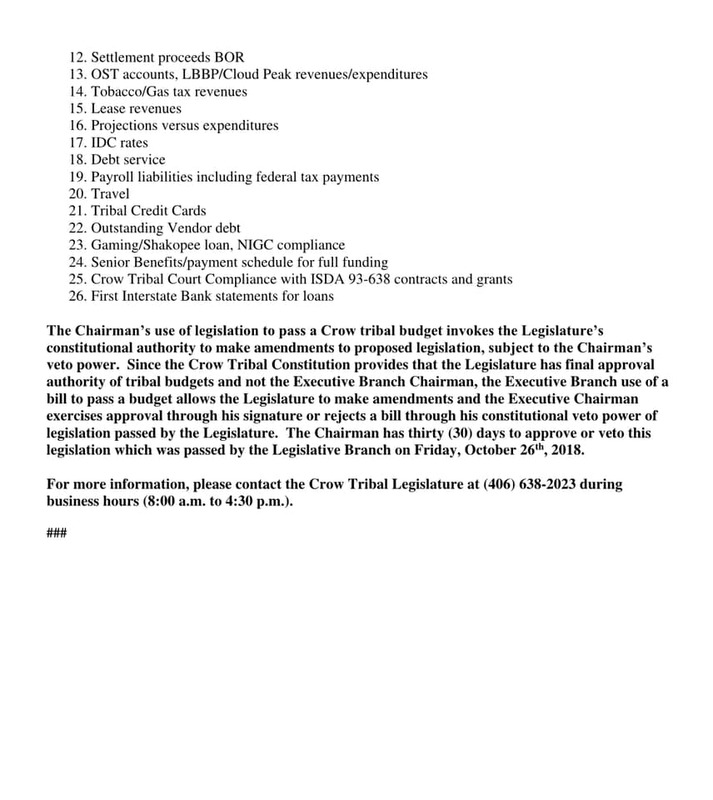 The Ordinance is a large document and is divided into several portions below. 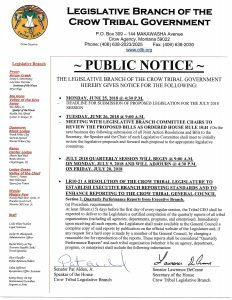 Public Comments may be submitted to the Housing Board or to the Legislative Branch.